Our tunnel ovens are used in hundreds of bakeries around the world. The excellent design allowing for outstanding baking quality is the primary reason behind the success of this product. Meta Therm Furnace Pvt. 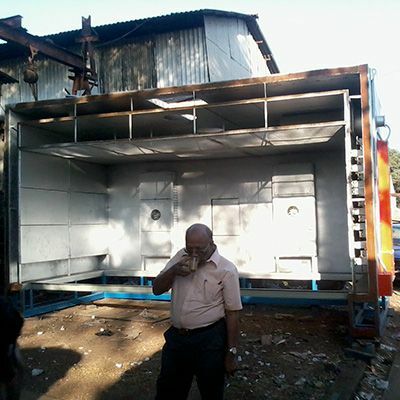 Ltd is one of the most reliable Tunnel Oven Manufacturers In Mumbai, and we never deliver a product of substandard quality to our clients. You can avail these ovens in different sizes and loaded features. We use the raw material of the finest quality and utilize the best-in-class technology to bring you these great ovens. Experience control over baking like never before with them. What Makes Our Tunnel Ovens Different? Reduce Heating Time - These ovens heat up the product within a short period of time which is comparatively shorter than other ovens available in the market. Energy Efficient - Even when they reduce the heating time, the energy consumed is still at a lower mark. Consistent Quality - The heating quality is consistent and gives you better control over temperature. We are one of the topmost Industrial Tunnel Ovens Exporters and Suppliers in India. Call now to get our Baking Tunnel Oven. You can also request a call back by sharing your contact details.